As I said in my elf post, I wanted to talk about the new brushes I had recently seen on ebay. You can tell straight away that they are inspired by the Real Technique brushes - the brush style, shape and even colour. 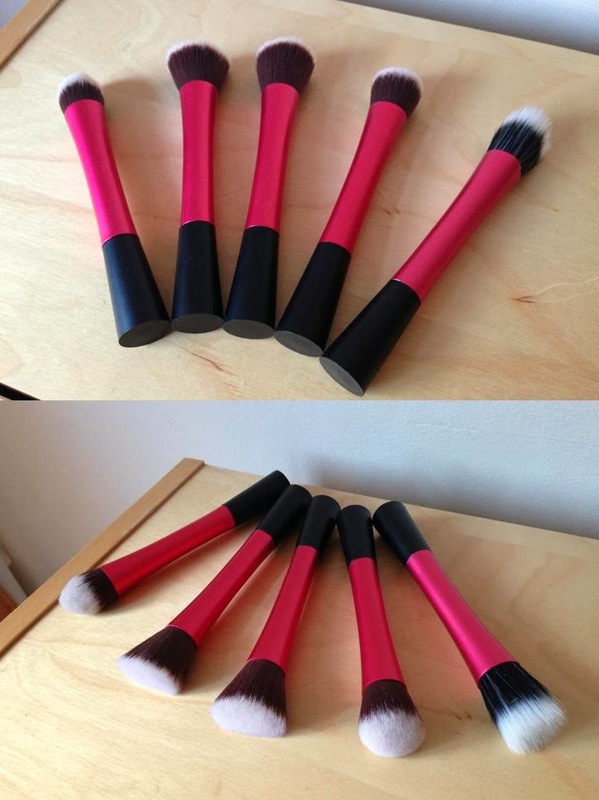 Don't get me wrong, I am in love with the Real Technique brushes that I have, it's just they are slightly on the pricey side and the brushes from ebay are only £12.99 (plus posting and packaging). When they arrived, they didn't say the name and purpose of each brush so I'm pretty much saying what I would use them for. 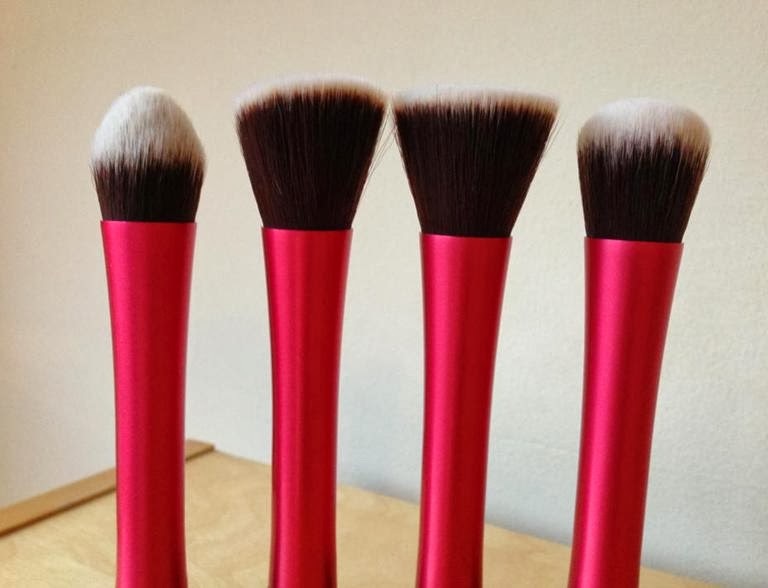 These brushes can be used for blusher, bronzer, powder, foundation, concealer and even highlighter - I did buy these brushes purely because I need a different brush for powder and my bronzer. I've been trying to find some decent dupes for a while, but I was a bit scared of purchasing in case they turned out to be awful, so thanks for posting this! Definitely going to have a look at these. Great dupes, I love my real techniques brushes but I need a few more and I just can't afford to buy another set.